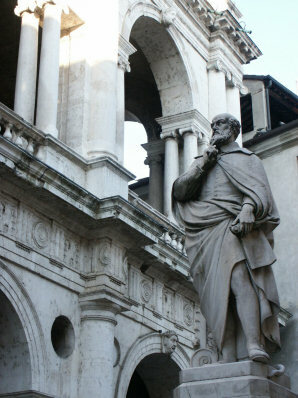 The statue of Andrea Palladio downtown in the square is a great meeting point for friends. Besides belonging to the elite class of great architects, Palladio was also a deep thinker and philospher. His humble beginnings as the son of a stone cutter belie his genius.